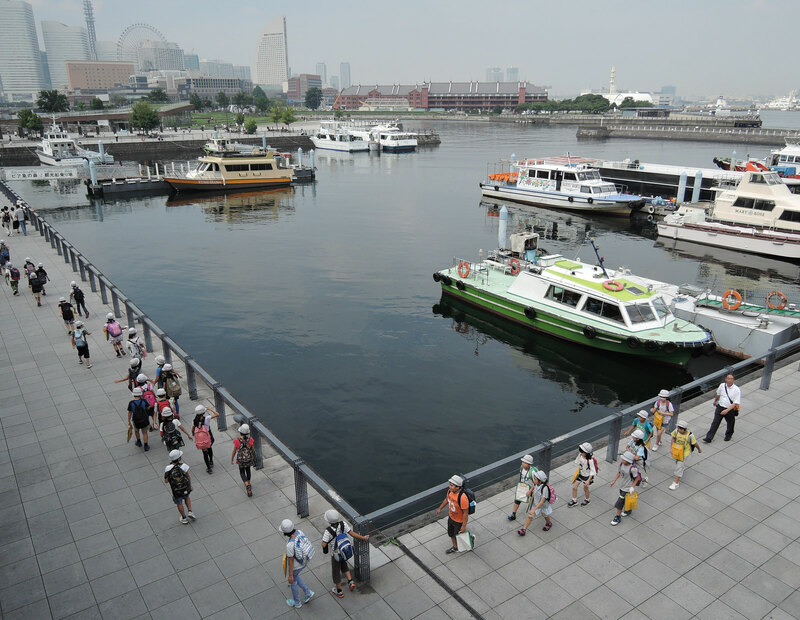 On a still hot and humid day, September 26, 2016, I visited the International passenger terminal berth in the Minato Mirai area, Yokohama. Royal Wing, a 2,800 ton liner, is based at the International passenger terminal for a regular Yokohama Bay cruise. In the background is Hikawa Maru, a 12,000 ton liner, which was once used as a regular ocean liner between Yokohama and Vancouver/Seattle on the west coast of Canada and the USA respectively before World War II. 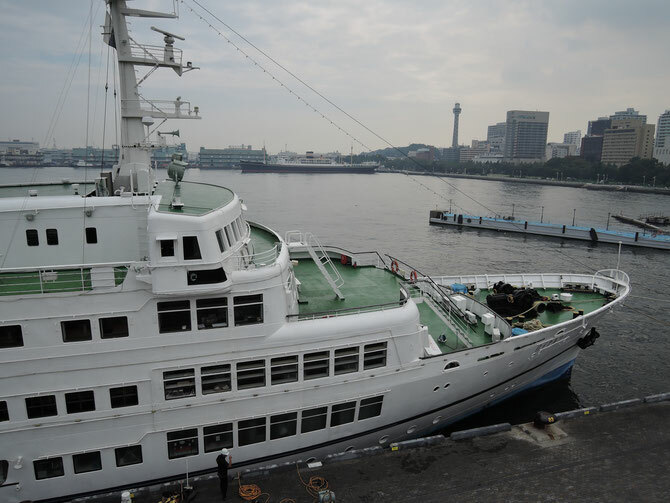 Hikawa Maru is now permanently berthed there as a museum. 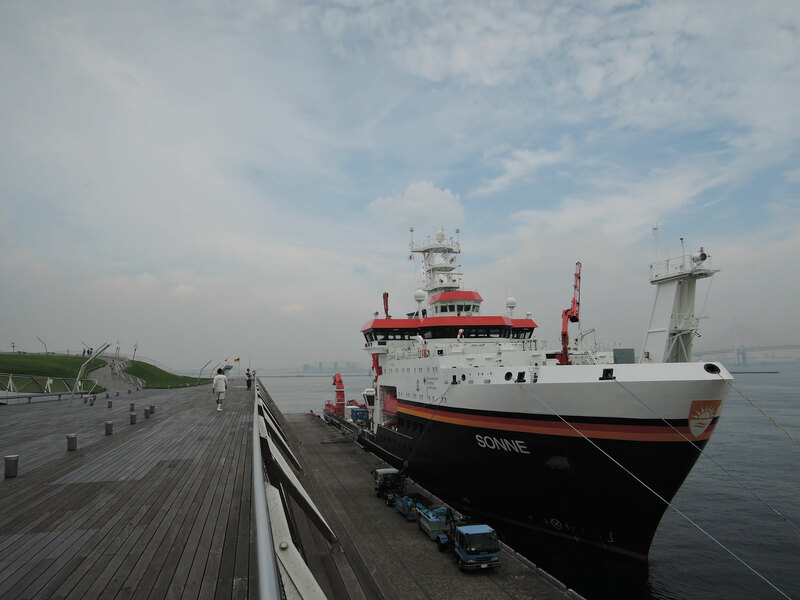 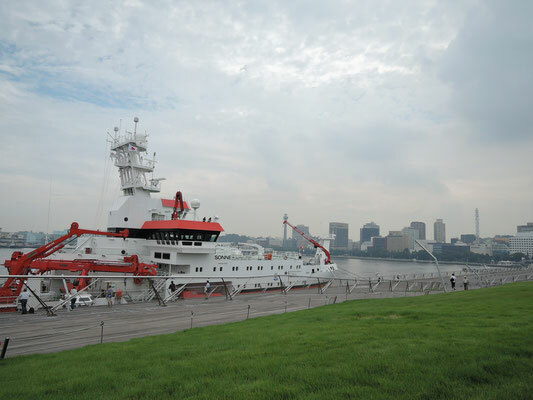 These photos show RV Sonne, which is a 2,500 ton German deep ocean research vessel. 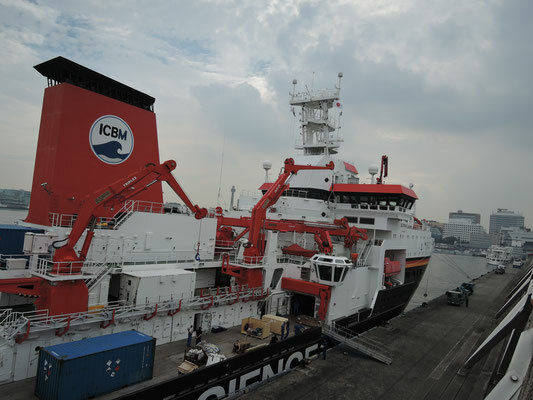 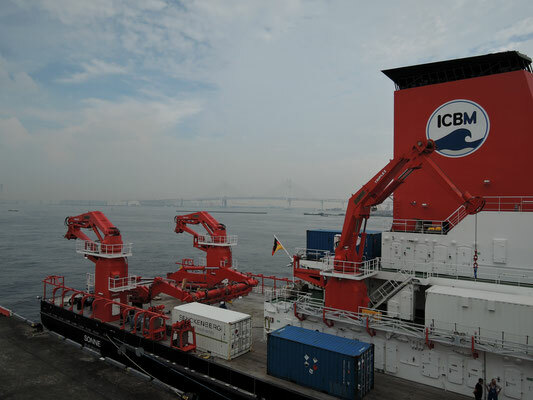 She operates mainly in the Pacific and Indian Oceans. 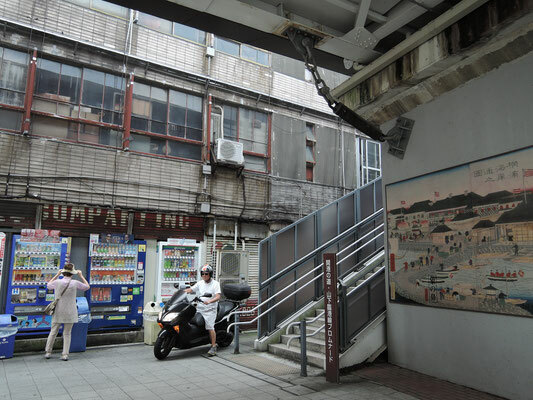 Life goes on in the proximity of the International passenger terminal.